Do you need a machine Sander? Or perhaps a suction machine? We continue to offer all the complements and accessories that your business needs! Call now (top number) to obtain the best market prices in the sale of machinery electro-portable of the hand of SPRAYMAQ. They serve for sanding: timber, Wall, parquet... the best Sanders electric! 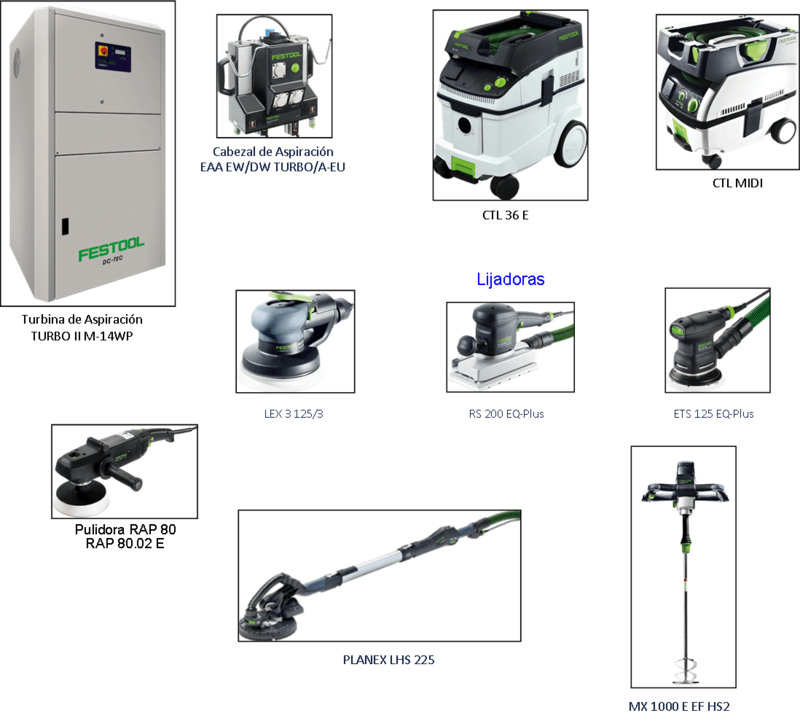 Electro-portable sanding machinery, sucking and prepare any surface for painting, or varnishing sanding of ceilings system, electrical or pneumatic Sanders, for wood, metal, plastic, etc. with complete sets of connections. Professional protection for paint and masks for paint.